The final SCCS conference timetable is available for download now. The Online Version of the Book of Abstracts is available for download. Die Pressemeldung der Uni Kiel. Thanks to Svenja and Peter there are nice photos of the conference. Click here to enter the photo gallery. The deadline has been extended to November 1. See dates for details. Strongly Coupled Coulomb Systems (SCCS) is a major series of international conferences for scientists drawn from the Plasma Physics, Astrophysics and Condensed Matter Physics communities. The purpose of the SCCS conferences is to provide a regular international forum for the presentation and discussion of research achievements and ideas relating to a variety of plasma, liquid and condensed matter systems that are dominated by strong Coulomb interactions between their constituents. Each meeting has seen an evolution of topics that have followed in the steps of new discoveries and new methods. In recent years the field has seen the emergence of new experimental tools and access to new strongly coupled conditions. SCCS conferences are generally held at 3-years intervals all over the world. 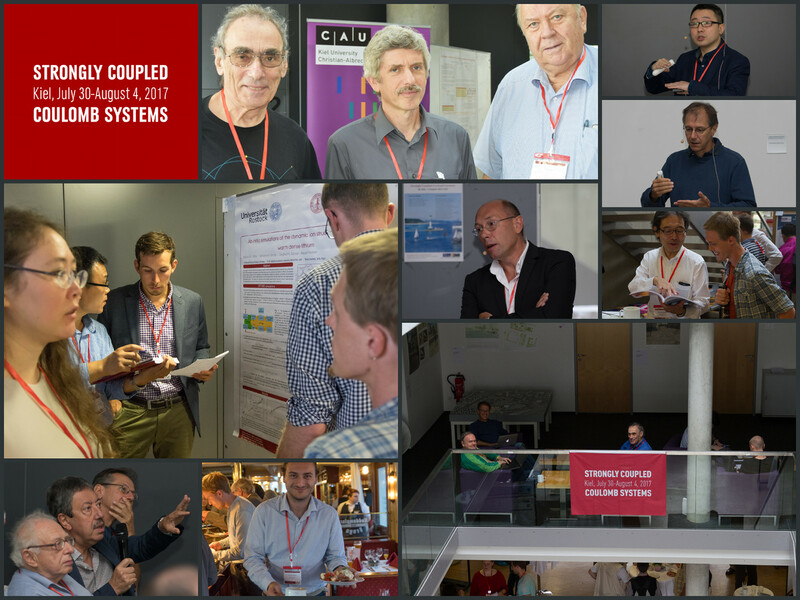 The STRONGLY COUPLED COULOMB SYSTEMS 2017 conference will be held from July 30th to August 4th 2017 in Kiel, Germany. Click to enter the SCCS 2017 photo gallery. There are #1, #2, #3 videos from the banquet as well. SCCS 2017 group photo by Peter Hartmann. The local organizing committee cordially invites you to participate in this conference, of which the scientific topics cover a wide range of phenomena taking place in many-body systems characterised by strong long-range interactions. Kiel, the capital of Schleswig-Holstein, the northernmost state in Germany, is located on the Baltic Sea at the head of the Bay of Kiel—a 10-mile deep inlet. The city is famous for its international sailing events, including the annual Kieler Woche (Kiel Week), which is the biggest sailing event in the world. 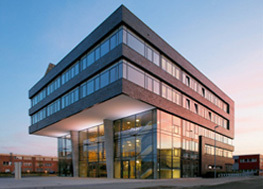 Students at Kiel University (25,000) and at Kiel University of Applied Sciences (>7,000) represent a significant share of Kiel's 240,000 inhabitants. 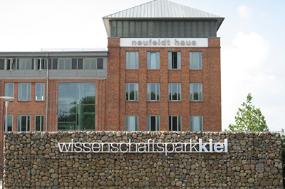 The meeting is planned to be held at the Wissenschaftspark Kiel (Kiel Science Park), which is in close vicinity to the university. The conference facility is just minutes away from the business and shopping districts of the city. We are looking forward to seeing you in Kiel in 2017.